In order to celebrate the many competition victories of factory driver Johnny Cecotto, BMW produced a speical version of the E30 M3 during 1989 that was named in his honour. This model introduced the 215-hp version of the catalyst-equipped 2.3-liter S14 motor, still rated at 170 lb/ft of torque (though now peaking at a slightly lower 4,600 rpm). 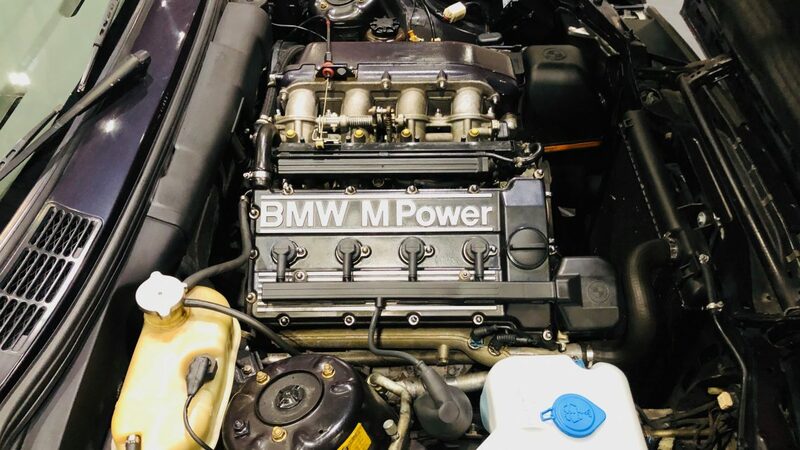 This engine, which would become standardized on European-spec M3s beginning in September of 1989, can be identified in the Cecotto by its body-colour valve cover. 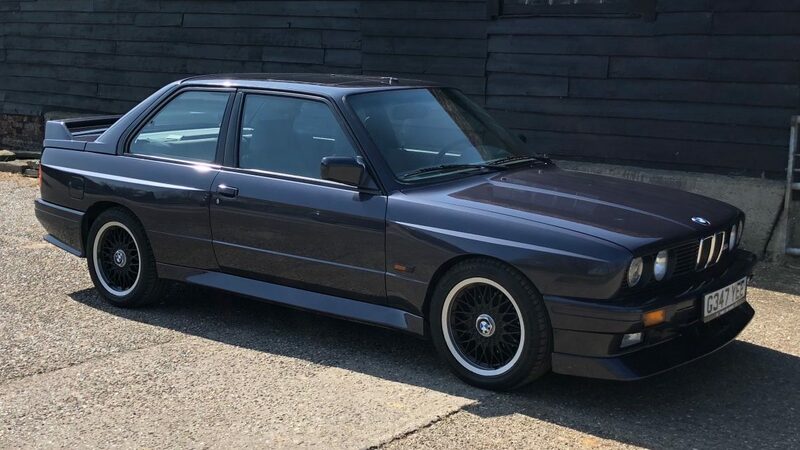 All other mechanical aspects of the Cecotto edition are identical to the standard E30 M3. The M3 Cecotto was offered in three exterior colour choices: Misano Red (236), Macao Blue metallic (250) or Nogaro Silver metallic (243). 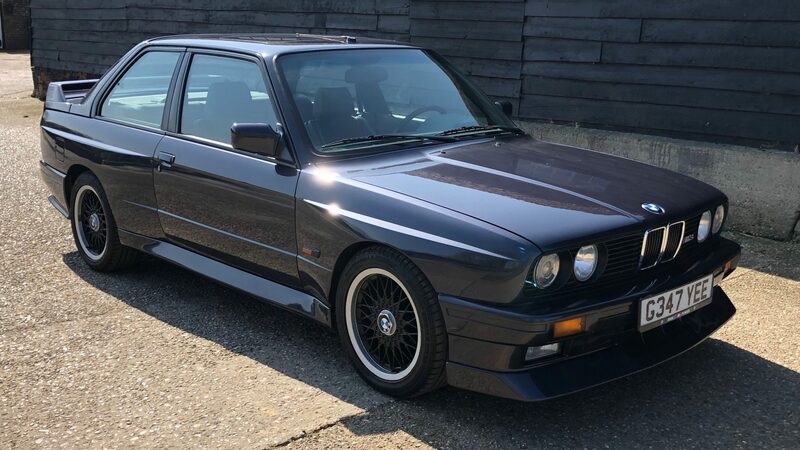 It also featured the M3 Evolution II front and rear spoilers, and is further distinguished by its thinner rear window glass, chrome tailpipes, and 7.5×16-inch alloy wheels with unique metallic black centres. 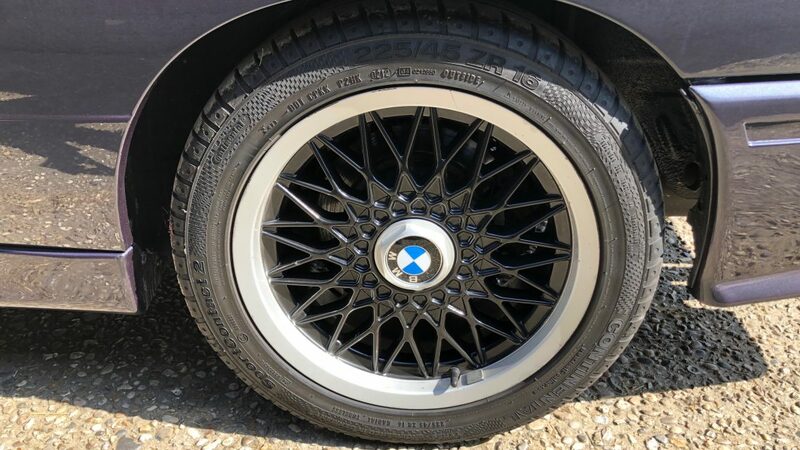 the standard BMW sport seats were trimmed in a special Anthracite or Silver M-Technic cloth with Bison leather bolsters. As an alternative, Black Bison leather, Black extended Nappa leather or Silver extended Nappa leather could be specified at extra cost. 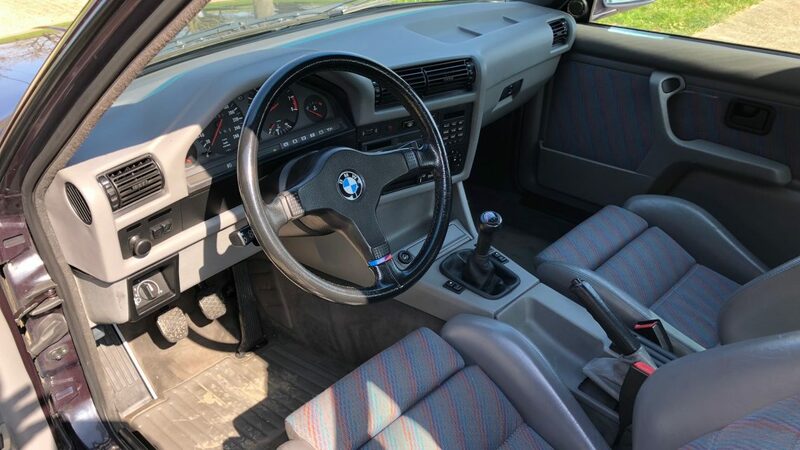 Additional special interior features included door sill plates with a colour “M3” insignia, an M footrest for the driver, and an illuminated leather shift knob. 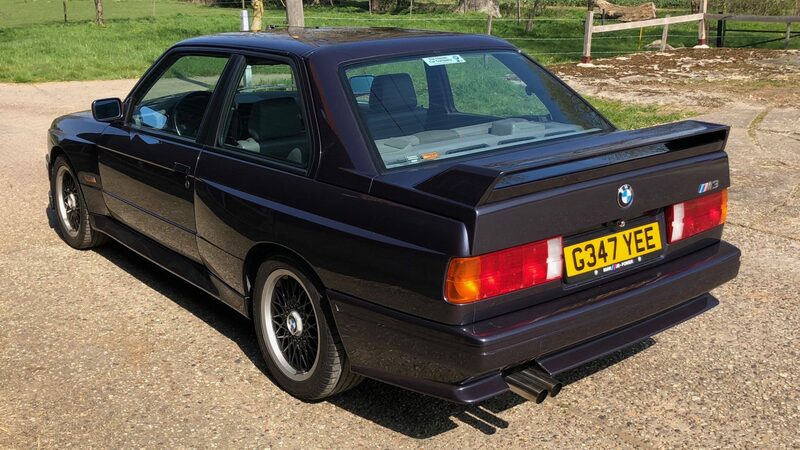 (In fact, 480 E30 M3 Cecottos were built in total, in addition to 25 nearly identical Ravaglia editions). All M3 Cecotto and Ravaglia editions were further equipped with the green-tinted windshield stripe, power windows, internal headlight aim adjustment, on-board computer II and the cassette storage box, while all available equipment from the regular E30 M3 option list was offered at extra cost. This particular model was first delivered to Italy, where it had two owners between 1989 & 1999. Both kept the cars maintenance with BMW main dealers. In 1999 the car was sold to a private collector in Germany, with around 90,000 kms on the clock. The car went into a fine collection of BMWs, that were scarcely used and maintained by an in house dedicated mechanic. 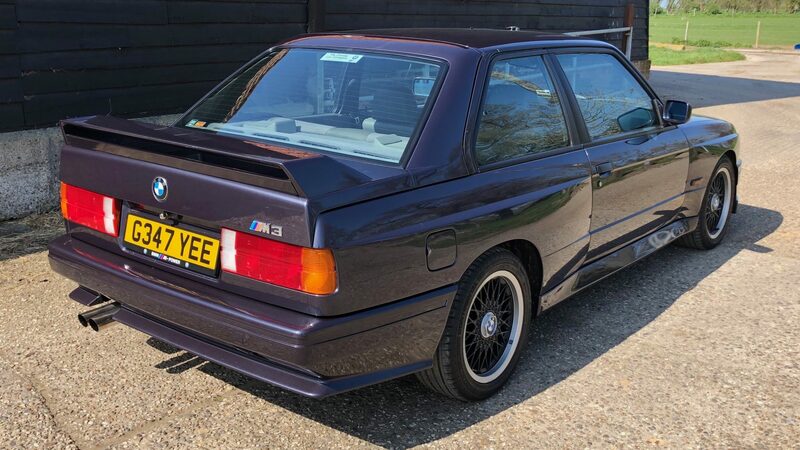 In 2016, with around 125,000 kms on the clock, the current owner, became aware of the car having been searching for a Cecotto edition for a few years. 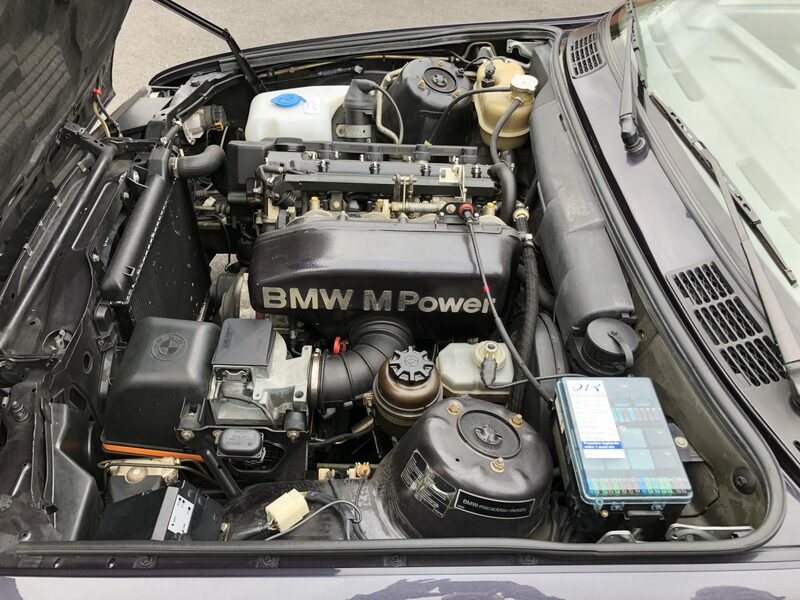 He flew to Germany to inspect the car, and bought it to join his E30 Sport Evolution. Since then, the car has only been used to attend shows, and has been maintained by a local specialist. As it stands today, the car performs faultlessly, the bodywork is straight and rust free, and this icon of the modern classic market is ready to be enjoyed. Unlike many other E30 M3s, this car has not been pulled apart and remains highly original.